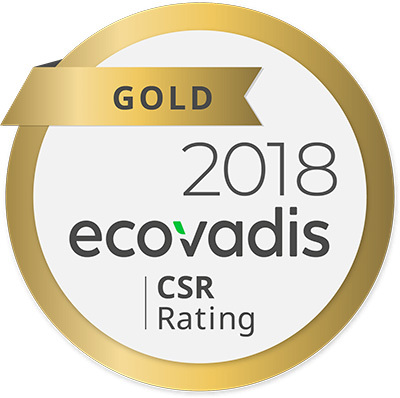 TOKYO, November 15, 2018 - Ricoh Company, Ltd. has received the highest gold rating in the sustainability survey conducted by EcoVadis. 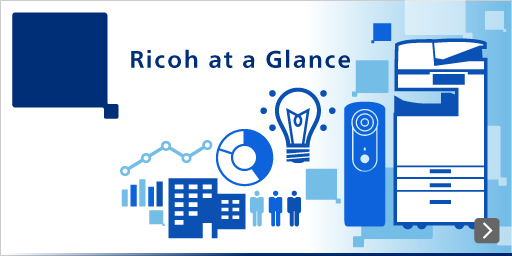 Ricoh has retained the highest standard gold rating four times in a row in the survey. EcoVadis assesses suppliers from 110 countries and across 150 business sectors on corporate policies, initiatives and achievements in areas concerning the Environment, Labor Practices, Fair Business Practices, and Supply Chain. Ricoh submitted its sustainability data to EcoVadis for evaluation and was ranked within the top 5% of all companies surveyed. Today, many global companies are eager to improve both their own sustainability record, and sustainability in their supply chain as well. In fact the sustainability performance of suppliers has become an important factor for supplier selection. It is also becoming increasingly common that customers request Ricoh's sustainability data as part of their supplier selection process and often request the EcoVadis assessment. EMPOWERING DIGITAL WORKPLACES is our unified global value proposition. We look to broaden the value we deliver through business by covering everything from conventional offices through to the frontlines and society at large, thereby helping to achieve the SDGs. Ricoh recognizes this gold rating as a testament to our sustainable activities to achieve the SDGs. We will proactively make efforts to improve sustainability, thereby consistently meeting the expectations of all stakeholders through achieving business growth and boosting corporate value.